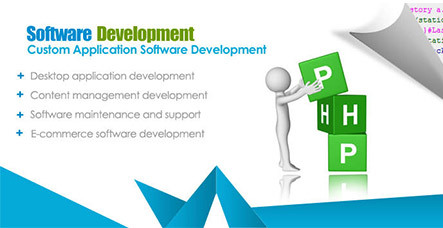 CPN: Offshore Software Development, Outsourcing Software development, Web Development, website Design - services. We provide commercial software solutions, web-application development, web-portal development, e-commerce solutions, ERP, CRM, iphone and Android apps development. Clients can interact directly and independently with our company to gain a comprehensive understanding of the services we provide. CPN always put you at the forefront of our efforts. Realising that generic software doesn't always meet the bill, we go the extra mile by offering custom software development services that are tailored to meet your requirements. We take the time to learn every minute detail of your business and your goals allowing us to properly understand the business problem at hand. We then work with our clients in order to decide how best to resolve a particular problem scenario before beginning the development process. CPN Global makes use of leading edge tools and development technologies including the Microsoft .NET Framework, SQL, XML and PHP frameworks to deliver custom software development solutions. Website reflects the ideanty of your business. A well designed and attractive website works wonders for business. It attracts more numbers of visitors and successfully converts them into actual buyers. We provide end-to-end web development services so that all your website requirements are fulfilled. Our web developers use latest technologies like Microsoft Silverlight, Adobe Flex, ASP.NET, PHP and others to create innovative, eye-catching and user friendly websites, which provide delightful user experience. We deliver custom Android/iPhone apps with high performance and utility ranging from productivity, business and mCommerce apps to gaming, leisure and social apps development.